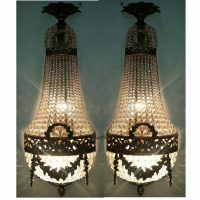 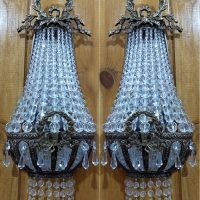 We custom antique replica crystal beads bronze ribbon roses wreath basket wall light shades lamps classic rustic old world European lighting decor. 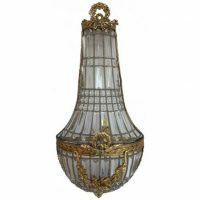 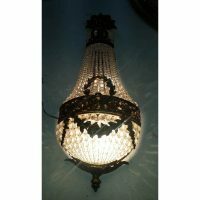 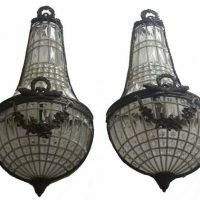 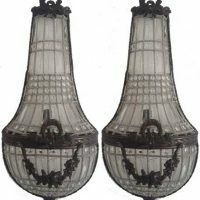 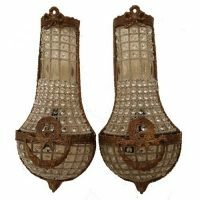 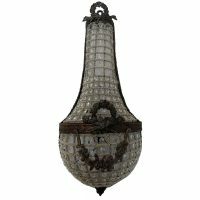 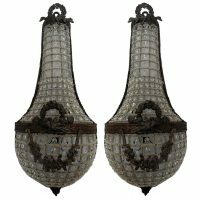 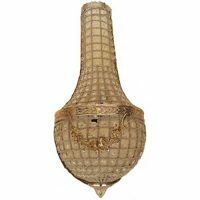 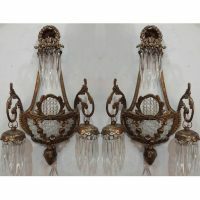 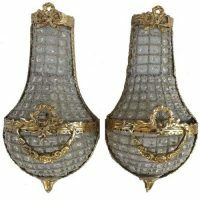 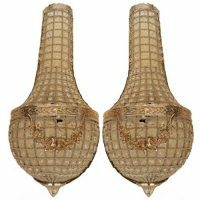 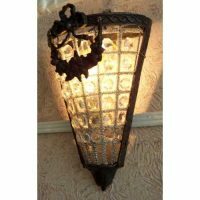 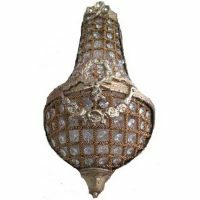 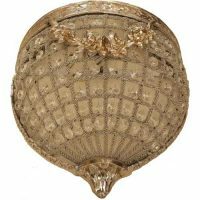 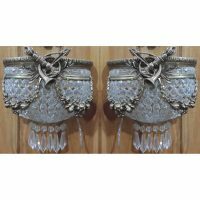 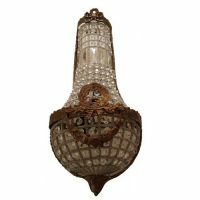 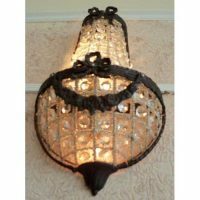 The French Empire antique vintage basket crystal sconces wall lighting is linked to Emperor Napoleon of France. 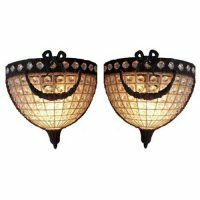 The wall fixtures sconces mounted on metal structures using thousands of tiny eye beads and 3/4″ octagonal shaped crystal prisms. 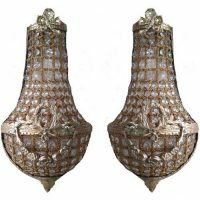 The garland French empire wall lamp sconces are designed with little exquisite brass adornments, wreath, finial and roses. 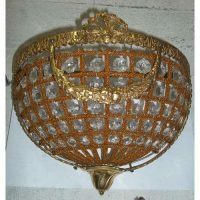 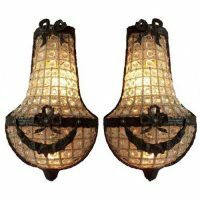 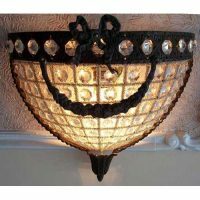 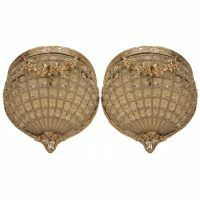 The wall basket crystal sconces are antique reproductions of late 19th/early 20th century style. 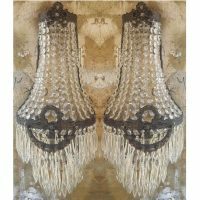 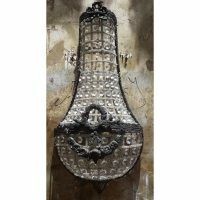 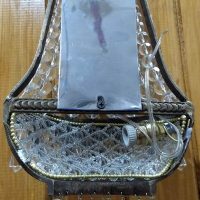 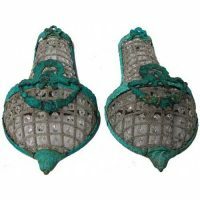 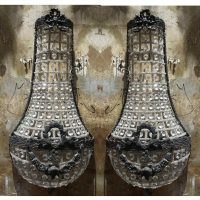 The classic wall sconces are hand beaded and strung by Egyptian artisans in the Mediterranean city of Alexandria, Egypt. 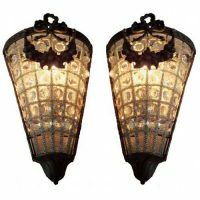 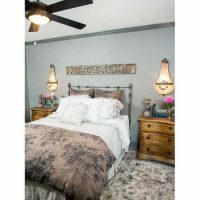 The light shades out of the sconces will look wonderful anywhere you want your guests to feel extra welcome. 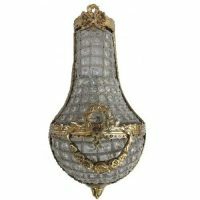 Brass comes in variety of finishes to add French enhancement to wall light fixture decoration. 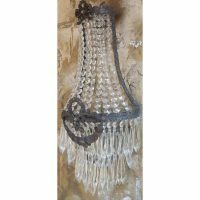 Ribbon featured on top and rose barbola garland with wreath swag embellishment in the center. 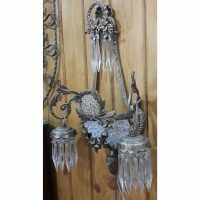 We ship French crystal sconces to all over the world. 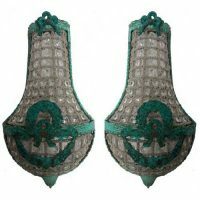 Our main clients are interior designers, antique dealers, decorators, architects, contractors and home owners.